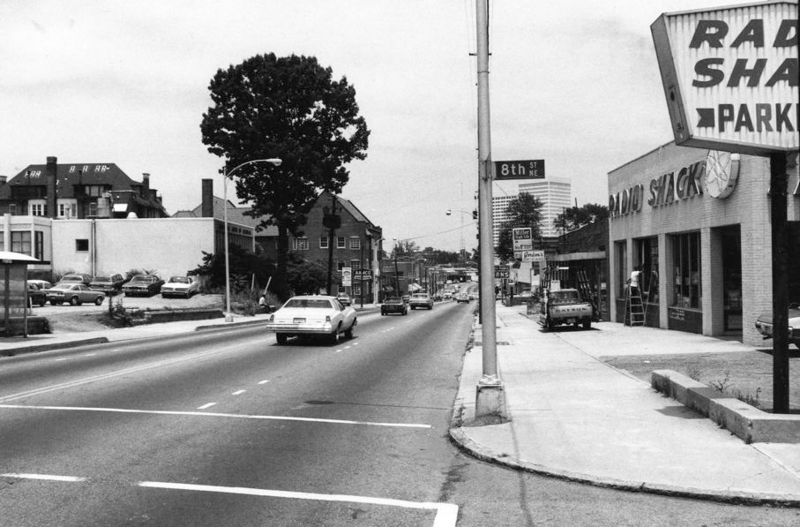 Over the past 40 years, few places in the region have undergone more change than Midtown Atlanta. Surface parking lots gave way to new high-rise buildings. Barren sidewalks were transformed into vibrant, tree-lined corridors bustling with activity. The change has been remarkable. And it’s still continuing today. Job announcements and new development projects anchored Midtown Atlanta's momentum surge in 2017. Amid a rapidly changing skyline, 25% of the land in Midtown remains ripe for redevelopment. Pictured: Major development projects delivered since 2013 (blue), currently under construction (green) or cleared the development review process (yellow). What started as a grassroots effort in 2008 has turned into a program that generates over $500,000 in annual savings on operating expenses. Learn more about the Federal Reserve Bank of Atlanta’s sustainability and building efficiency program. 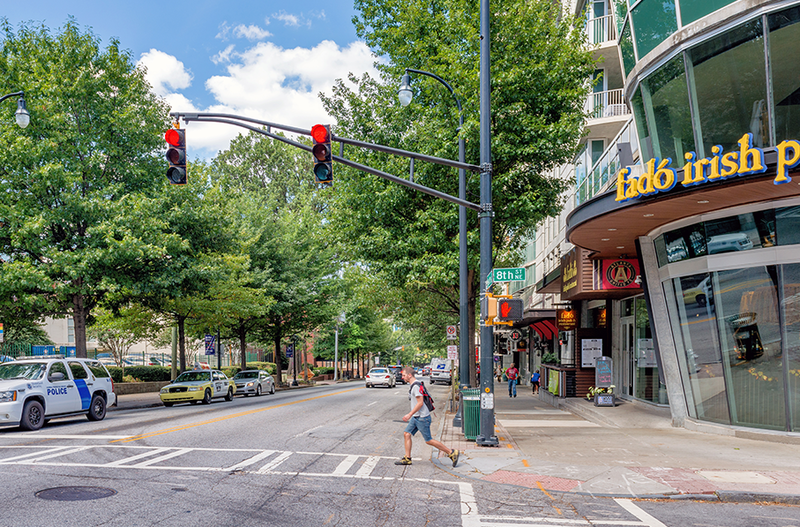 With Ponce City Market and Georgia Tech as its bookends, Midtown’s North Avenue serves tens of thousands of drivers, cyclists, and walkers daily. It’s also home to one of MARTA’s most trafficked transit stations in the city. Sounds like the perfect test bed for smart technology designed to tackle some of Atlanta’s greatest roadway issues. The City of Atlanta’s Renew Atlanta program teamed up with Georgia Tech in Fall 2017 to introduce smart technology to North Avenue, creating a living lab for multi-modal traffic management. The North Avenue Smart Corridor--spanning east to west from Freedom Parkway to Northside Drive--now boasts new traffic cameras, improved lighting, as well as sensors and adaptive signals that can read roadway conditions and adjust in real-time. The effort will even make way for driverless shuttles and autonomous vehicles, a trend that’s predicted to become mainstream in the future. Through the high-tech upgrades, the City hopes to reduce traffic congestion and improve safety. The project is part of the $250M Renew Atlanta Infrastructure Bond and T-SPLOST program, and will pave the way for many more projects like it throughout the city. Watch this video to see what it’s all about.